First depictions of a Christmas promo. 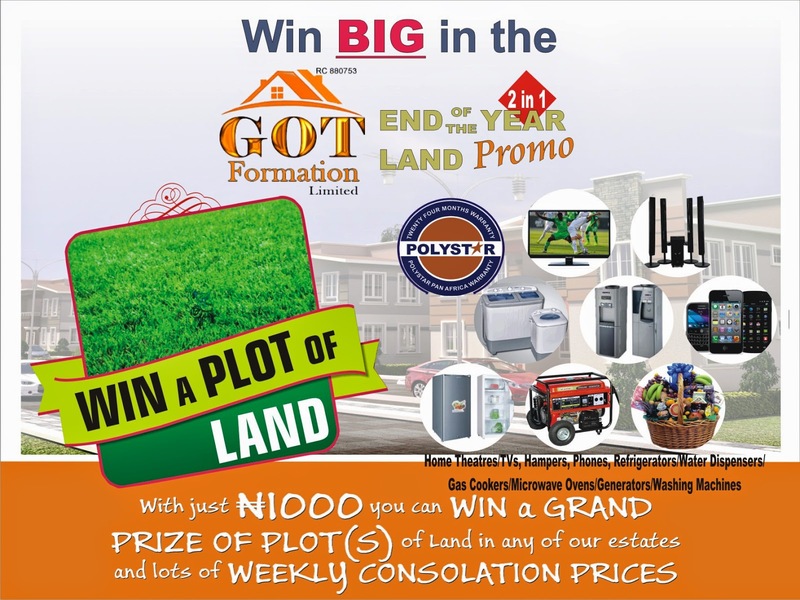 Comment Below & Win A Plot of Land! You read that right. If you comment below, you stand a chance to win your very own plot of land. 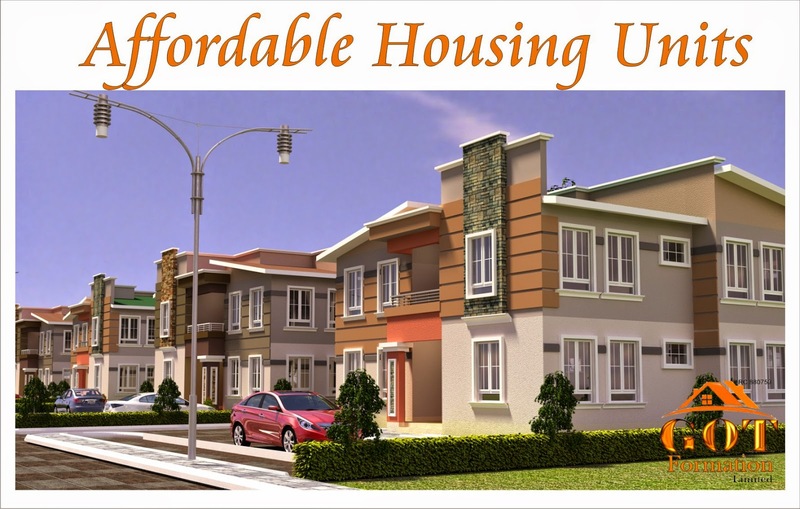 GOT Formation, the leading property developer is giving back to the masses with a huge end of year promotion. Just visit Polysonic Mall in Apapa and meet the friendly team. With a nominal sum of N1000, you’ll get a ticket that qualifies you for the weekly raffle draw. And much more are up for grabs. Loads of lucky winners have already emerged and the presents are flying off the counter. Don’t miss out. It could be YOU next. Treat yourself this festive season and win BIG by us. Everyone who participates stands the chance of winning the Grand Prize of 1 whole PLOT of LAND. It will confirm your status as a rising landlord in 2015! Not bad for a day’s work. Still got a lot more to do though, so ’til next time.